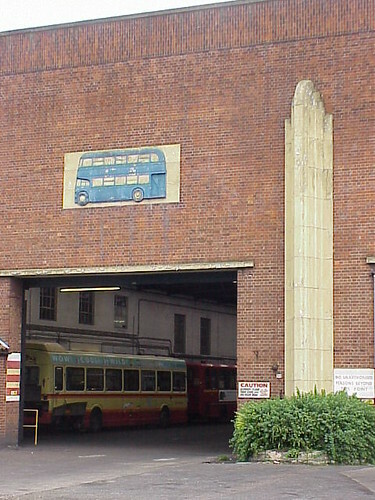 I was looking through some old photos today and came across the Caister Road Bus Depot in Great Yarmouth. 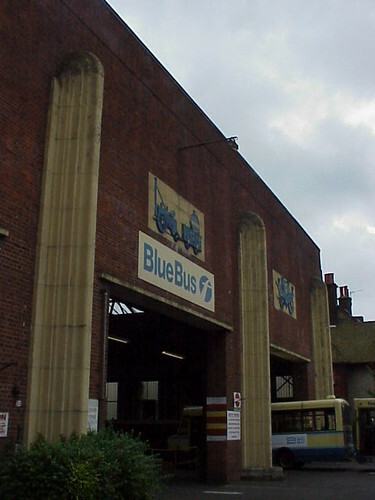 According to the memories of Patrick Burnside it was the garage for the blue & cream buses of Great Yarmouth Corporation Transport. 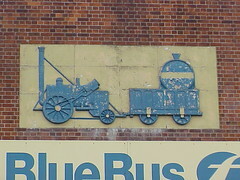 By the time these photos were taken in around 2001 the buses were still blue and cream (although more cream than blue) but 'The Corporation' was long gone. 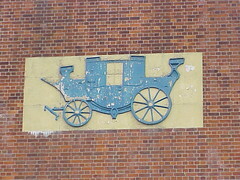 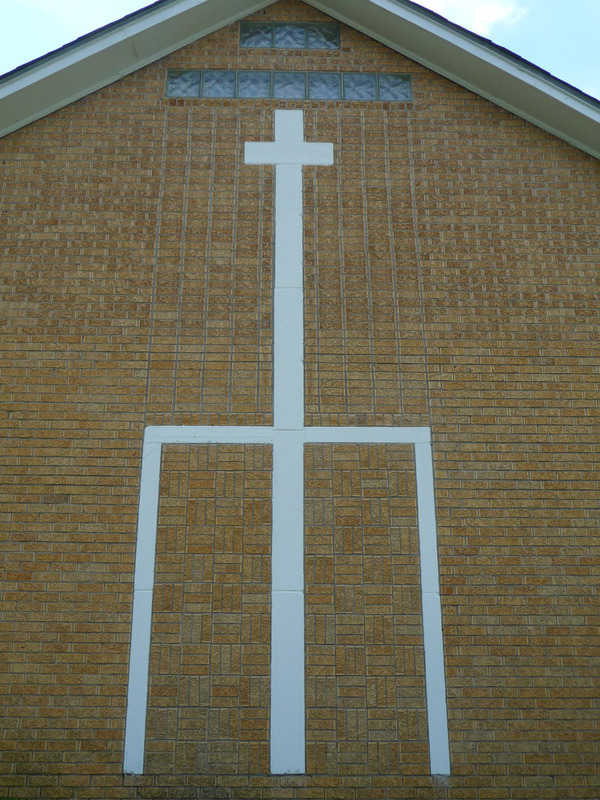 The red brick bulk of the building is broken up by vertical fins running either side of the garage openings and there are three panels showing different forms of transport. 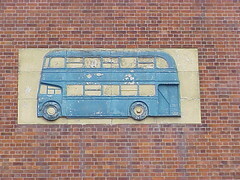 but my favourite is the blue Routemaster style bus.